Your dental implant course of treatment will be carried out exclusively in the comfort of our practice to ensure that you have the most comfortable experience. Our skilled team will care for you throughout each stage of the procedure. Do gaps in your smile impact your confidence in smiling with your teeth? 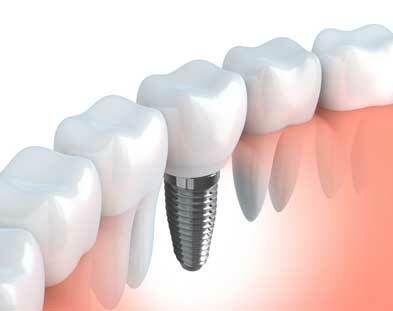 Dental implants are a permanent fixture in your gap with the most natural tooth-coloured crown on top. The tooth we place on top of the dental implant is tailored to blend with your existing smile to create a full natural looking smile. From replacing single or multiple missing teeth, to waving goodbye to your uncomfortable denture, let us show you a world of possibilities with Dental Implants. Colin and the team here are brilliant. My teeth were a disaster zone before coming here. Now after an implant, root fillings and some new crowns, Colin has rescued my smile and ability to chew!! They are all so caring and very professional. Steven is a great hygienist, always very careful yet thorough. Very highly recommended. Restoring the mouth as closely as possible to its natural state. At Dentist at Liberty Place we use the leading brand of dental implant, Straumann, which has earned world-wide trust for over 60 years. We are also members of the International team for Implantology. More information click here. Dental implants are placed in the safe hands of our experienced team here at our central Birmingham practice. 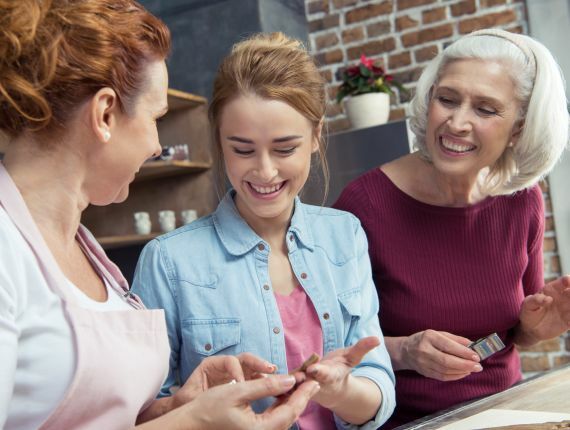 Before dental implants, dentures and bridges were made by dentists and used to close gaps in the teeth but these options can be unreliable, make eating uncomfortable or make people feel really self-conscious about their smile. Whatever the reason for your missing tooth or teeth, dental implants are the most modern technique in dentistry to replace missing teeth and to offer a more comfortable, secure and discreet alternative to dentures or a bridge. Dental implants produce a much more natural outcome, both aesthetically and functionally and so have transformed the way we replace one or more than one missing tooth for most of our patients. Placing a dental implant can often be easier than extracting a tooth and is done using a simple local anaesthetic here in our practice. Lots of people ask us “do dental implants hurt?”, but your dentist and our experienced team will ensure that you do not feel any pain during the procedure and give you lots of instructions on how to take care of your new implant over the next few weeks. Dental Implants are made from titanium, a material which is compatible with our bodies and strong enough to act as an artificial tooth root. The small dental implant is secured into your mouth by your dentist and immediately begins to integrate into its new role as an anchor for your new tooth. After a healing time of 6-12 weeks has passed to allow this new artificial root to bond to your gum and jaw, your dentist then attaches a natural looking crown or bridge to create a strong new tooth where your gap used to be. This crown is designed for you by our world-class laboratory so that it fits in perfectly with your existing teeth around the implant. Once this new tooth has been attached to your implant your new tooth is ready to use immediately, to clean, to smile and to eat normally. Implants are a safe and clinically proven technology. Implants have a success rate of up to 98 per cent, and if you look after it carefully will last for a considerable number of years, if not a lifetime. I’m unhappy with my smile, can dental implants help? Here at The Dentist at Liberty Place we have our own team of surgery and implant placement professionals and specialists. 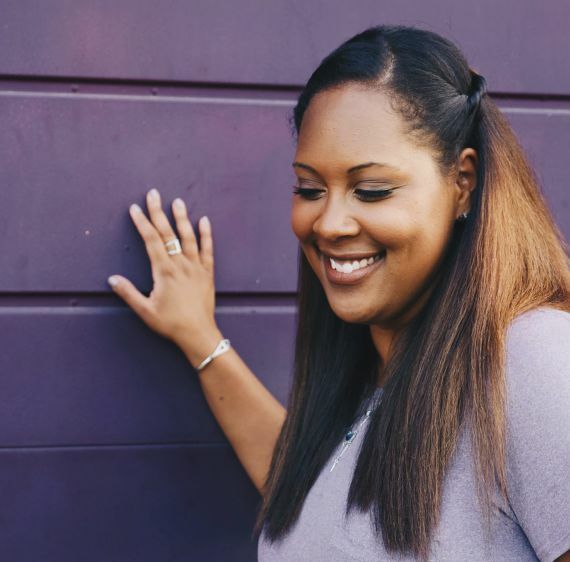 We know, whatever the reason, losing a tooth or teeth can be traumatic and have a significant impact on the rest of your life so our team can walk you through the dental implant process from start to finish here in Central Birmingham. We know that dental implants can transform a smile and we really believe that dental implants can improve your quality of life – we have seen it so many times! Our patient care team and treatment co-ordinator will be available to support you from the beginning of your dental implant journey and can answer many of our most frequently asked questions, such as do implants hurt? And what is the cost of dental implants?